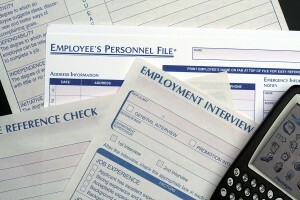 Can Your Former Employer See Your Current Employment Records as Part of Your Discrimination Lawsuit? A case decided earlier this month addresses a question that periodically comes up in employment law cases: Will your former employer be able to obtain your personnel file from your current employer if you file an employment discrimination or retaliation lawsuit? During an employment lawsuit, the employer and employee engage in a process called discovery. Discovery involves an exchange of information between the parties, including requests for documents, written questions called interrogatories, and oral questions at a deposition. In addition, either side has the right to issue subpoenas requiring non-parties to provide relevant documents and information. The purpose of discovery is to allow each side to gather evidence to support its case and evaluate the other side’s position. Discovery is supposed to be broad. However, it has limits. For example, it only is supposed to be used to try to learn something relevant about your case, and not to harass or punish the other side. Unfortunately, there often are disagreements about whether a discovery request is being used for a proper purpose. The question of whether your former employer is entitled to obtain copies of records from your current employer is one such issue that can arise during an employment law case. In Boykins v. Inventiv Commercial Services, Michelle Boykins alleges that her former employer, Inventiv Commercial Services, wrongfully terminated her because of her race in violation of the New Jersey Law Against Discrimination (LAD) and federal law. After Ms. Boykins stopped working for Inventiv she started working for New Jersey Transit. Inventiv learned that Ms. Boykins filed a charge of discrimination against New Jersey Transit with the United States Equal Employment Opportunity Commission (EEOC). Ms. Boykins provided Inventiv a copy of her EEOC claim and other related documents. Inventiv then attempted to obtain Ms. Boykins’s entire personnel filed from New Jersey Transit. Inventiv claimed these records were relevant to various issues in the case including how much Ms. Boykins is earning from New Jersey Transit since those earnings would offset any economic damages caused by Inventiv’s alleged race discrimination. Ms. Boykins asserted that her personnel records are private. Inventiv argued that it could overcome her workplace privacy concerns because her discrimination claim against New Jersey Transit is similar to her claim against it. United States Magistrate Judge Douglas Arpert ruled that Inventiv is not entitled to obtain Ms. Boykins’s personnel file from New Jersey Transit. He recognized that employees have a legitimate privacy concern with respect to their personnel files. While he noted that Ms. Boykins’s pending EEOC case against New Jersey Transit might have provided a basis for Inventiv to obtain those records, it already has those documents. He also found Inventiv’s s request was overly broad since it sought Ms. Boyknis’s entire personnel file, rather than particular items that might be relevant to her lawsuit. It is important to understand that this ruling was very fact-sensitive. The judge might have required New Jersey Transit to provide some records if, for example, Ms. Boykins had not already provided the relevant EEOC records or if she did not supply adequate evidence regarding her salary and benefits at her new job. However, the case recognizes that employees do have a privacy interest in their personnel records and there should be limits on when your former employer is entitled to obtain them from your current employer.